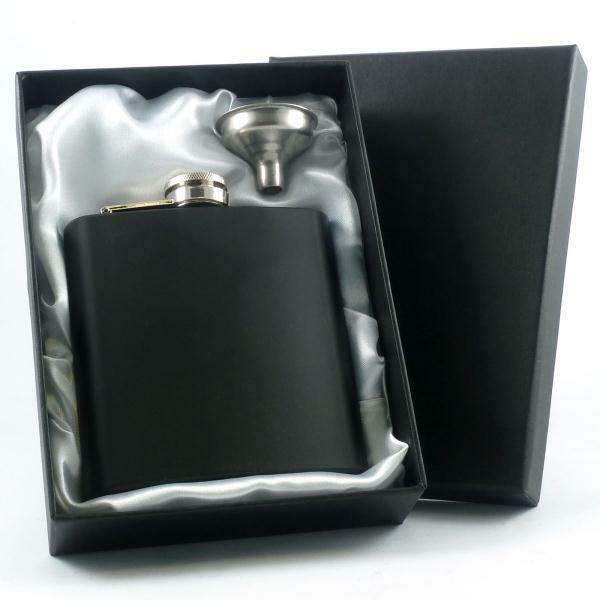 A matt black 6oz hip flask - it's made of stainless steel and been given a matt black coating. Not only does it make the flask a little different from the usual stainless steel ones, but when engraved the writing appears silver on a black background which really stands out. 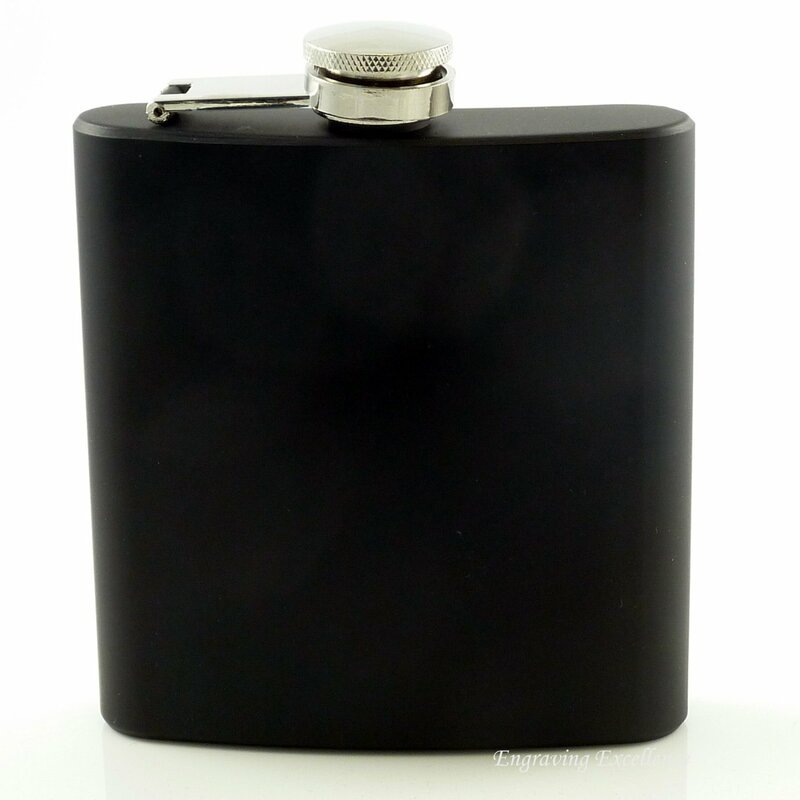 The lid of the flask is secured by a hinge so you'll never lose it. 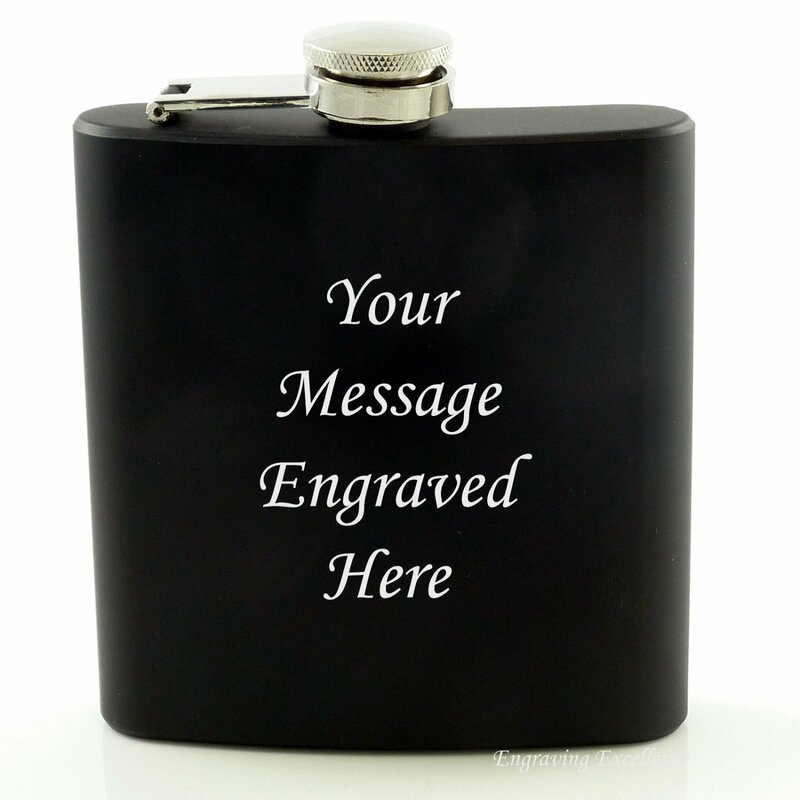 The flask has a 6oz capacity - that's enough for three doubles. Our items are posted using first class post to ensure a speedy delivery.